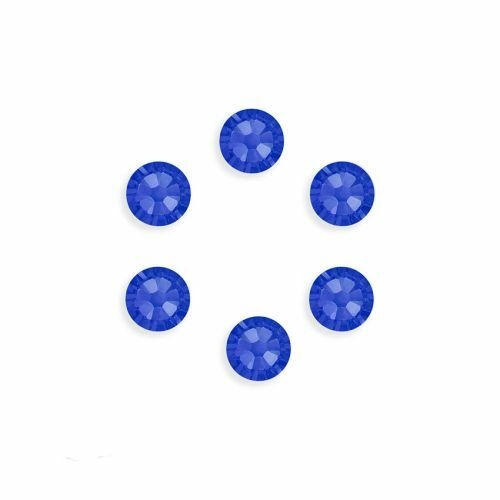 Be beautiful in blue with these Swarovski crystal flat backs in sapphire F. These blue coloured flat back crystals are foil backed and can be glued onto a wide variety of carrier materials. We have jewellery settings that are designed to hold this size of flat back. Each crystal measures approx. 7mm (SS34).